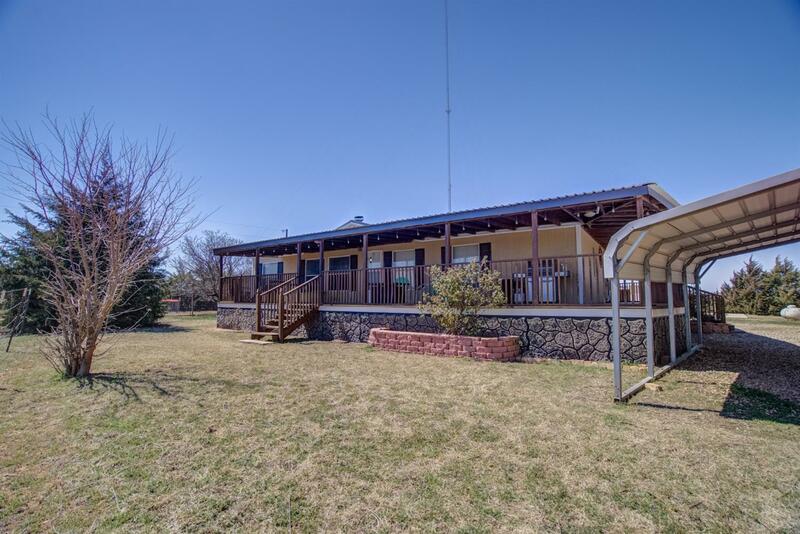 This is a great horse and livestock property. Works well for show animals. Fully fenced and cross fenced. Large barn (52'X40'X16') with two 12' overhead doors and concrete flooring, perfect for RV or trailer storage, with framed office area. The barn also has sewer and water connections. Metal roof on the house with a wraparound porch and hot tub. Raised garden bed, chicken coops, storage buildings, windbreak, fruit trees, grape vines, magnetic driveway sensor, LED porch lighting and many other upgrades. Everything in place for country living! Water well is 182'. Buyer please verify property measurements.